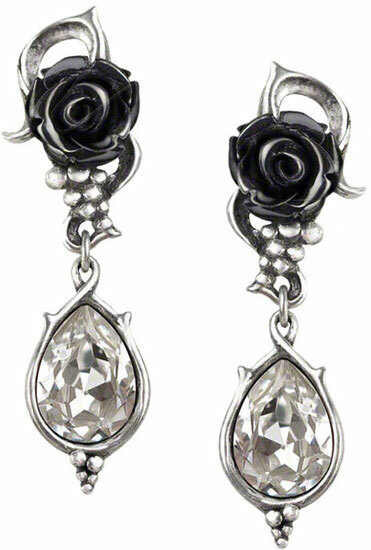 Signifying the passion for wine and sensual pleasures this set of earrings has two black roses intertwined in vines with grape bunches and clear crystal tear drops. 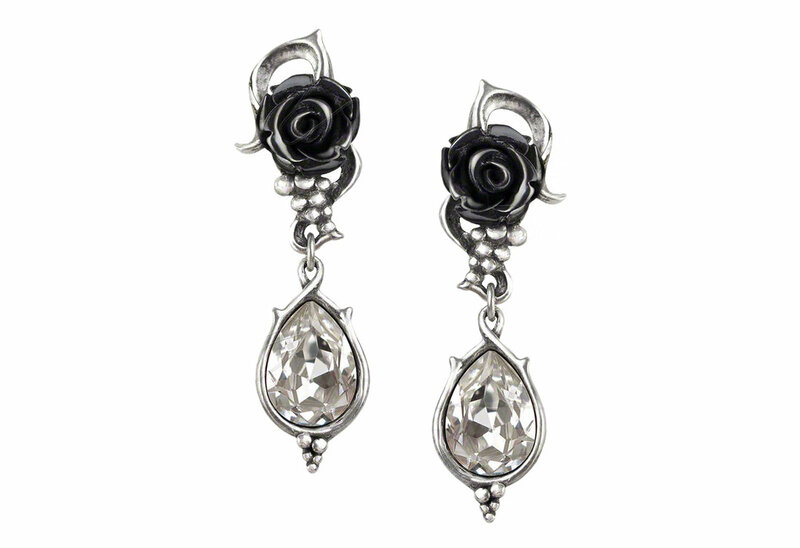 They are made of fine English pewter with Swarovski crystal and black enamel. They measure approximately 0.51 inches wide, 2.01 inches high and 0.83 inches deep. Designed by Gothic Alchemy. 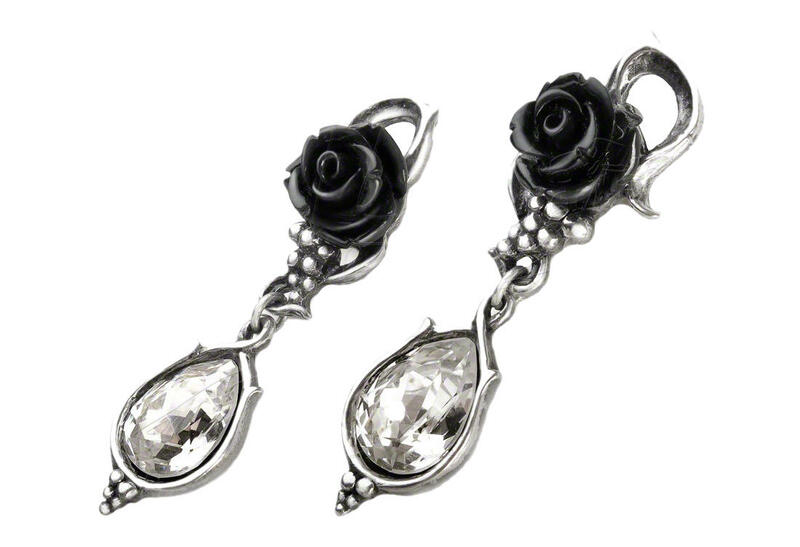 I gave these as a gift to a young woman that loves the gothic look, she was thrilled and loved them. thank you! !